Isler, P., Santen, L. van. 2015. A public-private single window initiative. GREAT Insights Magazine, Volume 4, Issue 5. August/September 2015. This was a lifesaving motto for a committed group of Ghanaian customs officials, shippers, SGS staffers and other progressive ‘trade activists’ involved in a groundbreaking public private company. Against the odds, within a period of 2 years, the customs clearance process in Ghana turned from one of the most tedious, burdensome, paper heavy and dysfunctional processes into the diamond of the African trade industry. The name of the company? Ghana Community Network, or GCNet for short. Supply chains and trade processes are fraught with complications, obstacles and regular unplanned challenges which need to be addressed in order to enable the timely and undamaged delivery of goods to the final consignee. This is especially true in emerging markets where infrastructure is often weaker and volumes are often running well above anticipated projections. The strain on the infrastructure and processes often result in significant delays which equate to huge amounts of wasted resources. The objective for GCNet? To implement a single window solution for Ghana that would overcome the above described burdens. 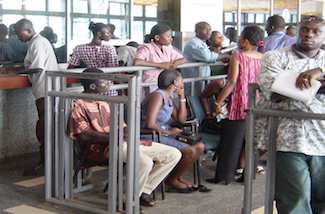 In April 2003 at the Accra International Airport the system went live and it was operational at all the seaports and land borders before year-end. Ghana Customs, supported by the Ministry of Trade and the local private sector were the key delivery partners and the solution was designed around their needs. Results in Ghana were staggering. Thanks to the integration of accurate, consistent and real-time statistics, tracking figures show that by 2005, clearance time was reduced by a factor of 5 and import duty collections increased by 30%. Within 9 months of operation, 97% of the trade was processed through GCNet. Paperwork went down from photocopying 9 copies of bulky manifests to 2. From a previous 12 copies of a Customs declaration, the current system only requires 1. Other efficiency measures and the shedding of redundant processes resulted in the reduction of the steps in the clearance: from 12 officers to 3, to be exact. Files were processed as and when they arrived, instead of being handled and delayed in batches. Let’s take a few steps back to understand how Ghana had such results. In the late 1990s, the Governments and Institutions Division at SGS faced a dilemma. Revenue had gone down significantly because of a rapid disappearing of Pre-Shipment Inspection which had been a significant business for the company. It prompted a massive turnaround to reinvent our services to Governments and Institutions. Simultaneously, there was an emerging discovery of how new development in Information Technology could radically improve the trade environment. It was grand talk about the reduction of clearance times, about making processes more efficient and transparent, and about securing the revenues Governments are entitled to. The basic formation of the single window concept was born. the company could wait a number of years before the initial investment is covered and a return on investment starts to flow in. But it wasn’t an easy ride. It required patience, tenacity and convincing power. It was completely against the general perception that such a project was technically possible to deliver. Joint road shows around the country were organized to raise momentum, create buy-in and work on the belief that yes, a single window for Ghana can actually be pulled off. We ask you to think about this example in the context of the recent Aid for Trade developments. How can this success be replicable? Where would it be replicable? How can we, as a collective force of forward looking donor Governments and private sector players, accelerate the implementation of such Public-private Partnership (PPP) models? How can we making sure that solutions are made to deliver concrete and lasting value to the societies they are established to serve in the first place? After three years of discussions and roadshows, the joint venture GCNet was established in April 2003. What did that mean? Land borders needed infrastructure, telephone lines had to be extended, power generators had to be installed, training had to be provided to 4000 users, sensitisation programmes needed to be established for a period of 12 months and all processes had to be fully reviewed and realigned. Geographically speaking: 2 seaports, 1 airport and 3 land border points had to be connected and synchronised. Shippers, Forwarders, Clearing Agents, commercial banks, and other stakeholders interests’ had to be aligned, priorities evaluated, and agreements as well as disagreements, ironed out. This was the start of the Public Private Partnership model: a joint venture model where both sectors invest. The business model is based on user-fees. The ‘client’ – the importer of goods to Ghana – pays a fee per transaction and in return received a far better quality service in terms of clearance time and paper handling. In effect, the operational savings for the operator were far larger than the fee per transaction being paid. As the common shareholding model, all shareholders – Ghana Customs, SGS, the Shippers Council and the commercial banks – received their proportion of the company dividend. The Government benefited from increase in revenue through import duties, dividend distribution and corporate tax payment by GCNet. It is a financially sustainable model where upfront investment costs are fully covered and where continuous reinvestment takes place to upgrade and update the system, train new people, employ more engineers and IT specialists. Importantly, in approach and implementation, the model ensures a rapid and quality driven deployment. So where did the donors come into play? All partners had committed to an equity contribution to become shareholders of the company. When the Government raised the concern that it did not have the funds to do this, an appeal was made to the World Bank. Thankfully, the World Bank committed to finance the 20% equity stake of the Government, representing a value of US$ 1.2 million. Why? They were convinced about the long term value that their contribution could make. Both in terms of improving the trade and economic environment, as well as in terms of employment and capacity building and training that was involved. In addition, the anticipated future spin-off effects of the single window were, in hindsight, rightfully valued. The fact that it was a well governed public private effort made it a solid and attractive proposition. Extremely weak infrastructure – power reliability, network coverage, even physical infrastructure. Despite extensive experience in developing countries and a strong interest in SGS to ‘make it possible’, when implementing such a large scale PPP it remains a serious consideration of anticipated costs and potential risks that may withhold a company to take on the challenge. Implementing software costs are incredibly difficult to estimate and whilst every effort is put into defining the Terms of Reference, end cost can be underestimated by over 40%. This creates pressure when working on a fixed budget. Skills. GCNet was hungry for computer literate experts such as network and IT specialists, call centre staff and technical and operational support. There weren’t many available and great effort was directed to fill the gaps with flexible, on-the-job training and mentoring. 600 customs officials operating across 440 terminals and 1500 Front-End users such as declarants, shipping agents and banks had to be trained to use the system, understand its key functions and know how to detect and handle fraud. At times we had to fight the belief that failure is actually an option. These challenges require dedicated commitment and effort from all partners. Donors could also help in addressing skill shortage and training as well as infrastructure development. What can policymakers do with this experience? We look forward to learning from those in charge of drafting legislation and welcome thoughts this article provokes. Speaking of the role of the private sector in development, at times, we cannot make a sustainable solution happen without public finance. This can be money to kick-start a project, to derisk investment, or to help get other private players to invest as well. There can be various models applicable to various situations. However, the make or break factor is clear: it needs to be in full support of the implementing country with their front-men and women in charge. Now solutions like GCNet open a host of additional improvements that are in Government’s reach to finance and implement. In Ghana, a large World Bank project aimed at computerising both the Tax division of the Ghana Revenue Authority and the operations of the Registrar General to help the Government further progress towards E-Government has already yielded significant results. This is but one of a number of public-private success stories that have made a real change in the status quo that is here to stay. How far are we from taking these solutions and approaches to mainstream? A quick reality check and a few basic facts shows us both how much there is to do and that we need to keep pushing. First, there is a decline in aid flows to low income countries, as monitored by the OECD. Second, there is still a wide opportunity gap to close when it comes to domestic resource mobilisation. The International Monetary Fund estimates average tax per GDP ratio is 35% in OECD countries versus 15% in developing countries. Third, the implementation of the Sustainable Development Goals adopted at the UN Summit in September this year seem to pose a real financial challenge. Estimations are difficult but World Bank research has given a large figure of US$2-3 trillion per year in incremental investments required. To break that figure down, ‘just’ eliminating infrastructure bottlenecks in sub-Saharan Africa requires US$93 billion per year. How we are going to finance this and with what creative public-private constructions is a matter for all of us. We recognise that for some Governments it is a bold step on the path of no return. They deserve all our support; in skills, finances and recognition and that they welcome the opportunity to embark on a trajectory that improves their governance processes and that brings benefit to their citizens in the long term. There is still much work to do, and we look forward to delivering our contribution. 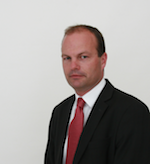 Philippe Isler is Vice-President Monitoring Solutions, SGS. 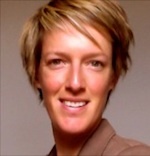 Lieske van Santen is Global Business Development Manager NGOs and Institutions, Government and Institutions Services, SGS. Photo: From days to hours… queues no longer. Credits: SGS.